“Ugly” or “wonky” veg were blamed for up to 40% of wasted fruit and vegetables in 2013, as produce was discarded for failing to meet retailer appearance standards. About 1.3 billion tonnes of food is wasted worldwide every year and, of this, fruit and vegetables have the highest wastage rates of any food type. But just how much of that is due to “ugly veg” being tossed by farms and supermarkets? The biggest culprit for food waste may be closer to home than we’d like to admit. “Ugliness” is just one reason among many for why food is wasted at some point from farm to fork – there’s also overproduction, improper storage and disease. But the problem of “wonky veg” caught the public’s attention. It’s 10pm. We have been listening to the rain get heavier for the past half hour, growing in volume on the car roof as we try to catch a paltry bit of rest before the long night ahead. I’m pretty sure that I’ve never wanted to do anything less than this race, and I’m pretty sure that Louisa feels the same way. Despite the fact that we’ve managed to go on a grand total of one training run together, and get completely lost in a part of the Peak District we’ve both been for probably over a hundred runs in, it isn’t the running fitness, or the navigational challenge ahead, that is really worrying me. It isn’t even the weather, forecast to feel like around minus ten with windchill, and be a pleasant mix of heavy snow and forty mile an hour winds all night. Nor is it really the challenge of staying up for the next eight-plus hours without any aid from artificial stimulants, or the headcold I woke up with that morning. If the truth be told, the main reason I don’t want to start is because Ben’s car feels unreasonably comfy and I don’t want to make myself uncomfortable. Posted on January 31, 2019 Categories UncategorizedLeave a comment on Grow Your Own Food Security? Two summers. Ten cities. Two hundred allotments. A different perspective on British urban life, viewed through the frame of soils and harvests and as many free raspberries as you can manage. Nonetheless, a perspective just like any other of the city: characterised by differences of geographies, class, demographies and local culture. Individual allotment sites blur into each other at the end of the second season, a haze of sunshine and the smell of ripening plums, but some stand out. Amongst the individual experiences, common themes emerge. Here are some snapshots. In Cardiff I met a man who had been off work with mental health problems for the past five years. Unable to function at work, he rented an allotment to help himself use up some time. Six months down the line and he swears it has transformed his life – he’s outside most days, except when he goes to his new job, which he is managing better than he ever thought possible. The very next person I met was a woman who had struggled for thirty years with alcoholism, estranging her from her friends and her granddaughter. She got her plot in February and hasn’t touched a drop since – now, her daughter brings the granddaughter to help work the ground, and the shared activity of caring for the soil has begun to mend long-broken bonds. As the elderly gentleman in Liverpool put succinctly: ‘It gets me out of the house, and it keeps me out of the pub’. A Maltese gentlemen who had settled in Britain after being part of the Merchant Navy is the only remaining living member of his Maltese community. He feeds a cat, a fish and a tiny frog on his plot. Perhaps this is the same cat that Barry, on the same site, also feeds – both of them seem to believe it is their own cat, but the descriptions seemed remarkably similar. Down in Southampton, shared responsibility for five feral allotment cats is taken up by a number of plotholders, one of whom has a bell attached to his shed: when he rings it, late every morning, anyone else around working their plot takes a break to share some coffee and gossip and relax on the site. The closest thing to a castle for some is a shed, and for others it might be all they have. I heard of a Syrian refugee family living in a shed on one site, and on the other end of the spectrum was treated to a tour of one man’s shed extension, complete with white leather three-piece suite and huge mirror reflecting the debris of a party a few nights before. A different sort of party was in preparation up in Newcastle the week before the major late summer vegetable shows. Giant leeks like toy soldiers stood to attention in heated greenhouses and I managed to persuade a few gardeners to part with some of the trade secrets involved in winning the giant leek competitions so part of the heritage up here. Against a soundtrack of pigeon calls from the racing lofts, I learnt about how to get the best contrast between the white and the green of the leek, and what varieties were tipped to be winners. Some greenhouses were fancier than others – the heated, competition-winning leek growth chambers stood out – but my personal favourite was seen in Bristol, where somebody had managed to acquire a supermarket car-park trolley stand to house vegetables rather than trolleys from now on. Many greenhouses and sheds are made with whatever is to hand: old doors, windows, and corrugated iron. Some contain surprising crops as well. I never thought I’d see a kiwi tree fruit in Britain until I found one in a polytunnel in Liverpool – and there were a few occurrences of what we recorded as ‘misc. herb’ in secret corners of greenhouses, although the location of where those were found will always remain a secret. Sometimes the humour can get old. The first time I saw a sign on a shed declaring ‘Trespassers Will Be Composted’ I chuckled – by the four hundredth time, it had somewhat lost its charm. ‘Too Many Weeds, Not Enough Thyme’ also gets an honorary mention for being particularly bad. The generosity of gardeners, with their crops, their time, their tea and biscuits, and even sometimes their beer and homemade wine, has had a lasting impact on me and I will always be grateful to every single person who took an hour or two out of their day to talk to us about their allotments. By far the most surreal example of this occurred when the couple who lived next door to the site, and who we had liaised with for access as they were both committee members, invited myself and Roscoe round for lunch. We had a lovely picnic with them on their terrace in the garden, and shortly after found ourselves in the cellar of their house, where we sat surrounded by musical instruments as we were treated to a concert of original jazz satirical songs on piano. It was the sort of situation that became awkward to excuse ourselves from, ostensibly to go back to work, but also because there is only so much original jazz satire that one person can cope with in a day. There are more stories from this experience than can fit into a single post, and I will probably put another together at some point to tell some more stories of the amazing everyday of allotment gardeners. 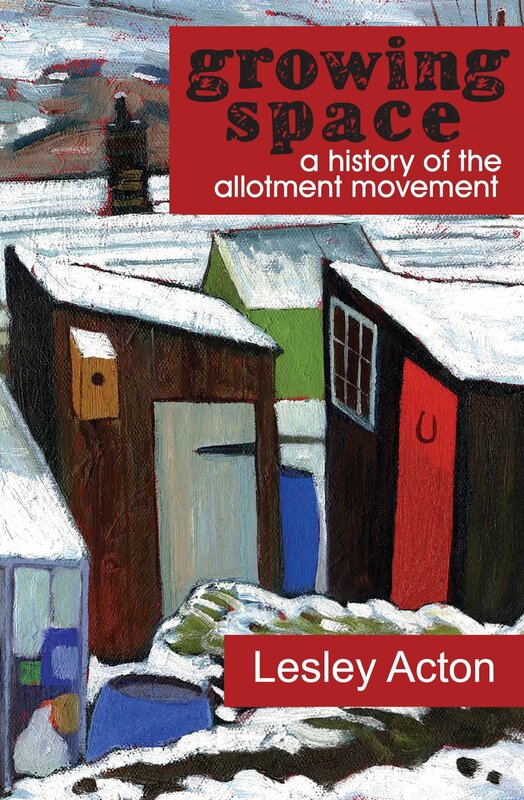 In the age of individualism, where lip service gets paid to the ‘Big Society’ by fat cats concerned only with their own pockets, allotments are a testament to the real sharing economy, where everyone and anyone can trade knowledge, tools, time and seeds, and those in need are noticed and looked after irrespective of gender, race or class, brought together by the desire to grow food and kept together by the realisation that having an allotment gives you so much more than just some slug-nibbled radishes. To the gardeners of Leeds, Liverpool, Edinburgh, Cardiff, Milton Keynes, Newcastle, Nottingham, Leicester, Bristol and Southampton: thank you. Keep growing in every way. Farming the city: who is it for? Detroit has lost over 60% of its population since 1950. A 2010 estimate put the amount of vacant publicly-owned land (specifically, vacant lots formerly used for housing) at 4,800 acres – or around 3,200 football pitches of empty space. In areas of high levels of vacancy, the depopulation is clearly visible on Google Earth. Detroit has in for many years been a spectacle for global media attention from narratives of decay, violence and decline; and in the past decade stories of hope have appeared alongside this, looking at community regeneration, urban farming, and the growth of art and culture in the city’s most deprived areas. The importance of narratives of hope coming out of stories of urban agriculture in Detroit should not be downplayed. There are now over 1400 urban farms in the city. Projects such as The Michigan Urban Farming initiative demonstrate that real benefits can be made in communities by engaging people in urban agriculture and providing a source of fresh and nutritious food in areas where fruit and vegetables are inaccessible geographically or financially. Many articles, videos and blogs have already told the stories of these initiatives and I would recommend seeking them out. There are some truly inspiring stories out there. However, all is not rosy. Telling a tale of communities coming back from dereliction and growing vegetables leaves a pleasant taste in the mouth, and for those of us far from its location, provides some easy lunchtime reading and we can go back to work happy that people are growing vegetables in Detroit. It’s not the end of the story. Continue reading Farming the city: who is it for? Posted on November 21, 2017 November 21, 2017 Categories foodTags detroit, gentrification, urban agriculture, urban farming2 Comments on Farming the city: who is it for? ‘Freshly clicked’. The advertisement on the back of the Tesco delivery truck promised efficiency, convenience and fresh produce delivered to right outside my door. Sounds great, right? Online shopping has saved people time for years now, bar the occasional “Oh no, I tried to order 1kg of apples but I accidentally just ordered 1 apple instead” (true story). The play on the common phrase ‘freshly picked’ shows just how far we have come from a tangible relationship with the harvest we consume. Food can be ordered online and delivered to our door the next day with contact between farmer and consumer non-existent. 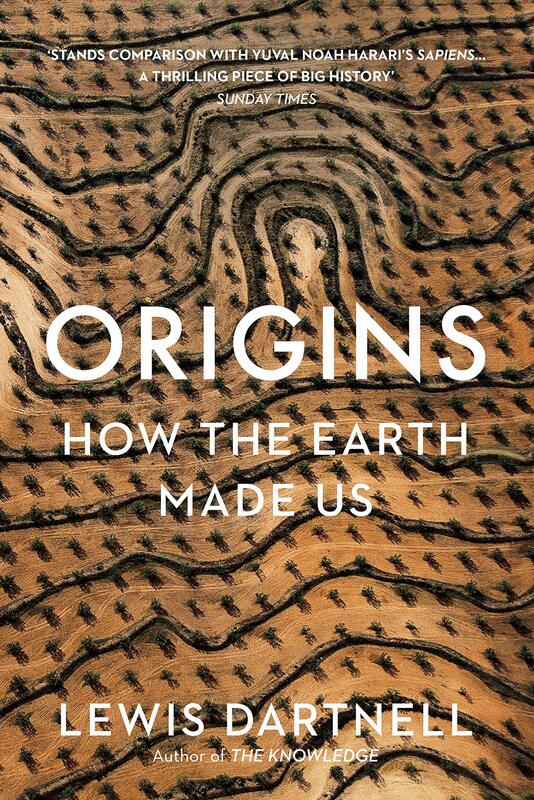 It is not surprising, then, in a situation where the food we eat is so divorced from any knowledge of the soil in which it was grown, that the food system has grown ever more international and complex. Knowledge of the impact of food miles on greenhouse gas emissions, and an understanding that consuming local food encourages local farmers which in turn builds resilience against any coming shocks to the international food system, is certainly increasing. The rise in interest in, and success of, local food shops, farmers’ markets, community gardens, and veg box schemes demonstrates this – albeit confined primarily to a particular social demographic. However, progress remains limited: in 2015, the UK imported £9.1 billion worth of vegetables and fruit, and only exported £1 billion worth. That’s a pretty large trade deficit. Supermarkets continue to dominate the grocery sector in the UK, which means cheap and unseasonal produce remains the name of the game. Consumers have become used to food availability that simply is not possible without huge levels of international imports to get around the fact that the UK climate does not produce all the food all year round. Eating seasonally is inconvenient for us, now, and not just a necessary way of life as it used to be. Continue reading How Should My Garden Grow? Posted on October 10, 2016 October 11, 2016 Categories environment, foodTags allotments, climate change, community gardening, environment, food, food security, greenhouse gas emissions, organic, urban agriculture, vegetablesLeave a comment on How Should My Garden Grow?